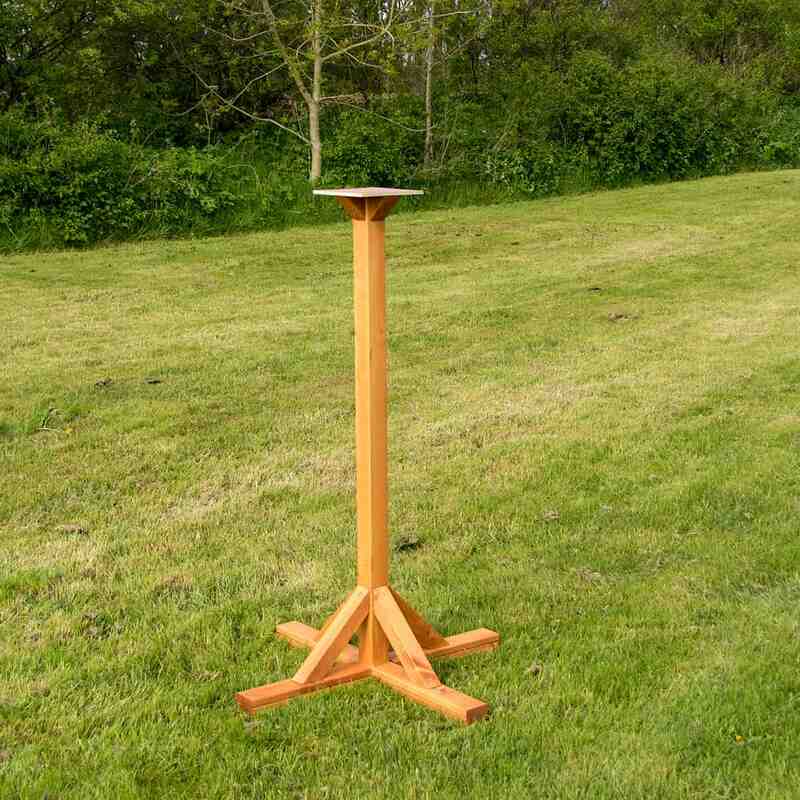 We are very excited about this new design, its a bird table stand that has half the base made out of.. 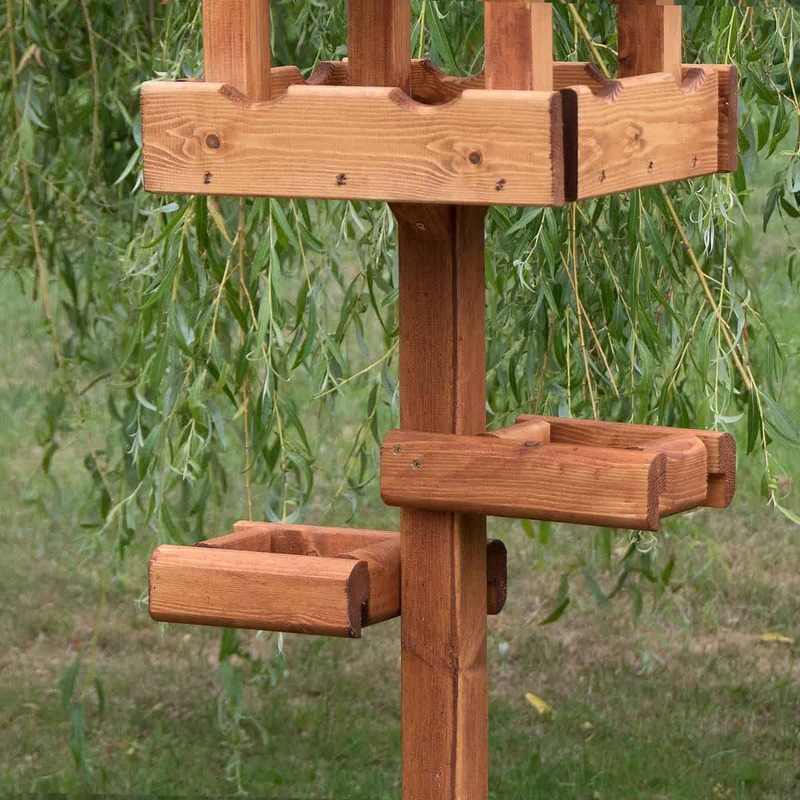 This is a great bird table with three feeding platforms at different levels, offering the chance to attract multiple birds to feed at once. The smaller birds tend to feed on the lower levels if the larger ones are busy. This helps avoid the old problem of pigeons etc pushing the robins and sparrows off the table. Are these self-assembly? I want to send one to my mum and dad for their birthday but they are not capable of putting it together. The top comes assembled put the stand its self is flat packed but isn't very hard to put together. We cant send out fully assembled bird tables as they get damaged in transit.